Those wondering how much anticipation there is for Capcom's Resident Evil 5 need look no further than the following statistic: the Resident Evil 5 demo on Xbox Live has been downloaded 1.8 million times. Microsoft reckon that places it "among the top demo launches on the service", though don't elaborate on which/how many demos it lags behind. What they do elaborate on, though, are some useless-yet-interesting stats, like the fact 1.3 million people downloaded the demo in the first three days of its release, and that 53% of Japanese Xbox Live Gold subscribers have already got hold of the demo. 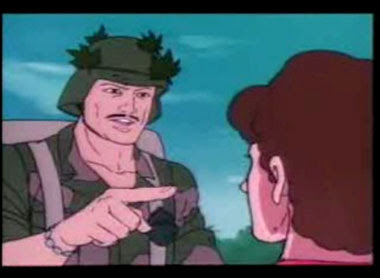 Remember, kids: knowing is half the battle! Over the weekend, download figures for the Resident Evil 5 Demo on Xbox LIVE surged past 1.8 Million, wrapping up the first week on Xbox LIVE. With the January 26th release, more than 1.3 million Xbox LIVE members around the world downloaded the demo of the hotly anticipated “Resident Evil 5” in just the first three days, placing it among the top Demo launches on the service. The Demo was first available exclusively to Xbox LIVE Gold members for the first three days and then for all Xbox LIVE members worldwide on January 29th. The demo also reached new heights with its Japanese release in December under the “Biohazard 5” title, being downloaded by over 53% of Xbox LIVE Gold members in Japan. 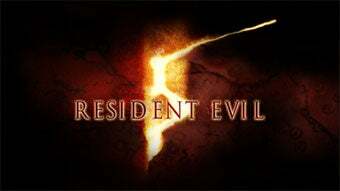 The release allows fans to get their hands on new “Resident Evil 5” features including two new levels of single- and two player co-op play, characters, weapons and environments. In this latest installment of the renowned survivor-horror franchise, returning “Resident Evil” hero Chris Redfield is joined by new partner Sheva Alomar to take on the frightening effects of the latest bioterrorist attack in the depths of Africa. Xbox LIVE provides players with the ability to have their pick of who they want to experience the terror with. Whether it’s a close friend or one of the more than 17 million members around the world, on Xbox LIVE it’s easier to know when friends are online, playing “Resident Evil 5”and available to catch up over voice- or video-chat. The demo’s success, comes in the same week as “Resident Evil” fans were asked to help unlock the secrets of Kijuju first through Xbox-LIVE and Xbox.com. For the most up to date news on the title, fans have also been flocking to Xbox LIVE and Xbox.com to check out first looks at exclusive game trailers and videos. On March 13th, Resident Evil 5 will move to its new home on Xbox 360.